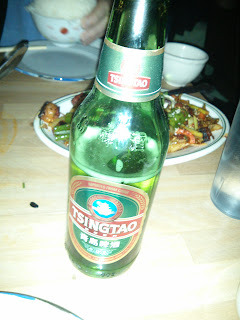 "Eat where the locals eat" I said, so off to Mission Chinese it was. This is one of those legendary local eateries where you can expect to battle Hipsters and Dotcom nerds for a table but the food is worth it. Rather like Ichiban boshi in Sydney - no reservations, no parties larger than 8. Most of the food is served family style, don't let the humble prices fool you the serves are huge. I'm not kidding when I say this is the best Mapo tofu I've ever eaten. 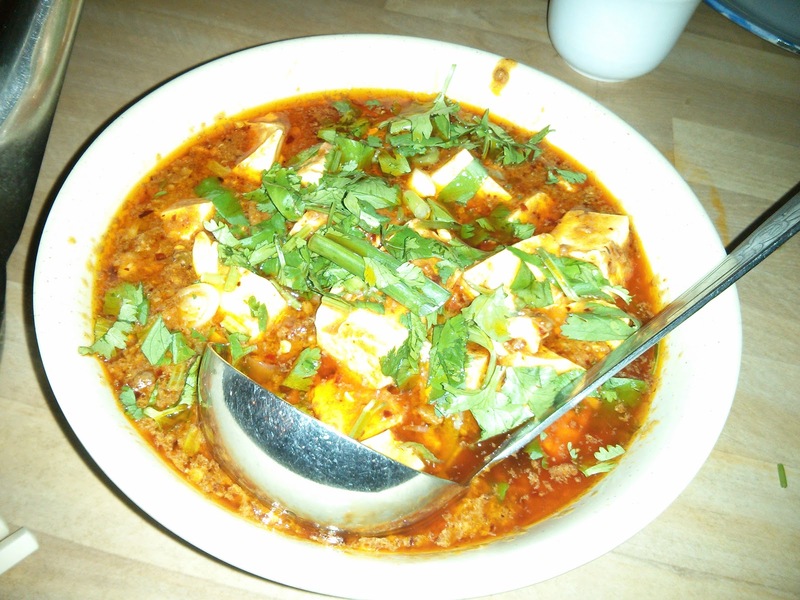 Soft fresh silken tofu is served with lashings of chilli oil and shredded roast pork shoulder. There's just enough collagen from the pork in the sauce to delight an umame fan like myself. This is probably the most American Chinese food one can imagine. 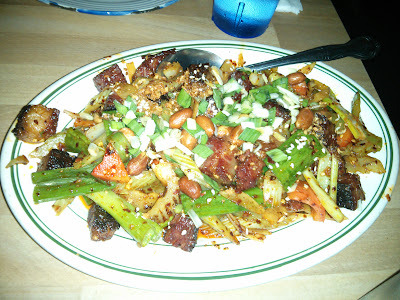 Pastrami chunks stir fried with chili, celery, shallots and peanuts. It's hardly authentic, but it is delicious. What better to wash all that chilli down with a beer or 5? At $3 why not! Like many good Asian restaurants of this ilk the focus is on the food. Hard, fast, furious. If you like your restaurants with class and trimmings try elsewhere.The decor is sticky table shabby and the waitresses are all bored looking tattooed girls who never seem to look your way. Don't go expecting The Ritz, do go expecting hearty American Chinese classics. Don't dilly dally the people waiting will glare at you, but the food is worth the wait.